The business loop of US 77 running through Harlingen is called Sunshine Strip, and the name couldn’t be more accurate. Harlingen boasts February highs of around 73 degrees and an average of only three days of rain for the entire month. For decades, snowbirds from across the United States and Canada have made the city a winter home; the airport even has seasonal direct flights from Minneapolis, Chicago, and Denver. It’s a border experience that’s distinctly Texan yet unlike anyplace else in the state. On the lush grounds of what was once a sprawling citrus orchard, Casa Rama offers a relaxing and scenic weekend home base just outside of town. 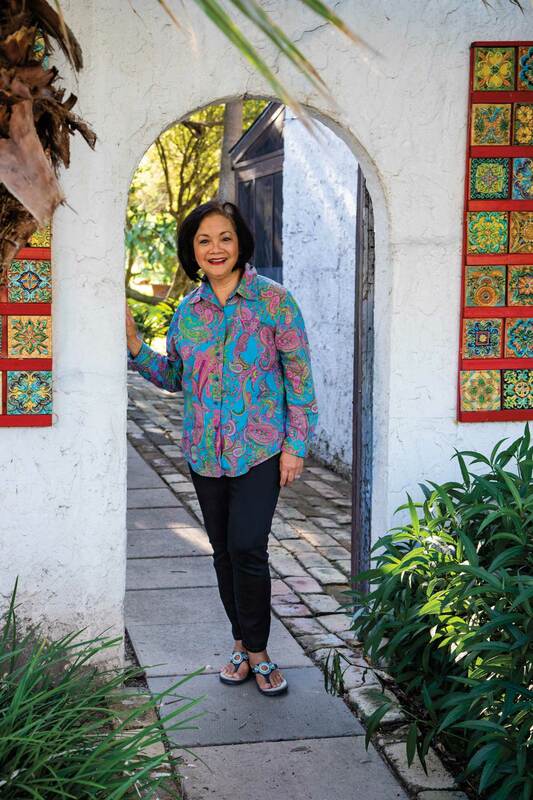 Owners Clarissa and Adolfo Rama have painstakingly restored four cottages dating to the 1920s, with terra cotta roofs, Saltillo-tile floors, and white stucco walls typical of the era’s Spanish Colonial Revival architecture. After settling in, you’re free to explore the grounds’ 7 acres, which encompass more than 200 palm trees that provide homes to dozens of red-crowned parrots. If that wears you out, two of the cottages also have inviting hammocks swaying under the palms on their front porches. 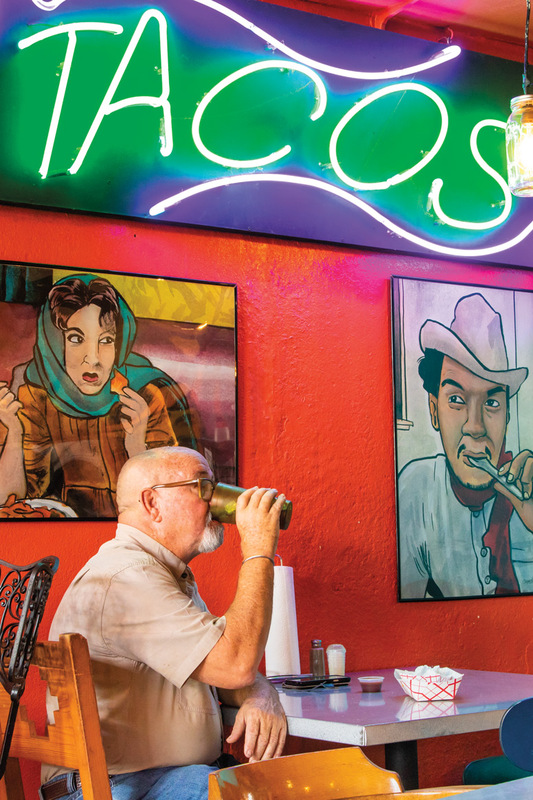 For your first taste of Harlingen proper, follow the locals to the unassuming-but-scrumptious Las Vegas Café. The downtown restaurant is the go-to place for home-cooked Tex-Mex—as evidenced by the constantly packed parking lot. Fortunately, this is a place that knows how to feed a crowd. The attentive servers still call customers “sweetie,” and they’ll refill your beverage every few minutes and get your food out hot and fast over the sounds of conversation, laughter, and ranchero music. Down the street, another local favorite is Lil Rita’s Grill House, which, contrary to its name, features authentic Thai cuisine. Tucked away in an old house, the popular lunch spot is only open in the evening on Tuesdays, Wednesdays, and Fridays, when it’s always bustling. Tradition dictates that you pay your after-meal compliments to Rita—who cooks every dish in the house from scratch—at the small window that opens to the kitchen. In the not-so-distant past, the Rio Grande Valley was primarily known for its agriculture—producing much of the nation’s citrus and vegetables, especially in winter. Agriculture is still important, but it’s increasingly subsumed by urban development. To experience the Valley’s rural roots for yourself, you have to know where to look. A great place to start is the Wild August Nursery & Flower Farm, where you’ll find fields of native wildflowers and pots of heirloom roses just south of downtown. Visitors can buy bouquets or potted plants, or head out with shears in hand to cut their own flowers. 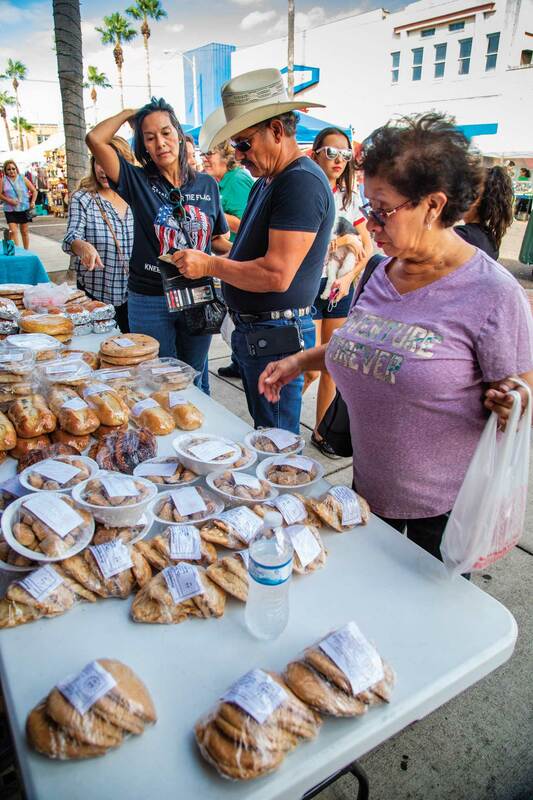 On Saturday mornings, a farmers market features local produce, handcrafted products, and breakfast goods—including warm cinnamon rolls and coffee. A few miles down the road, old-fashioned fruit stand Granny Clare’s Citrus sells oranges and grapefruits right off the tree from late October to early March, depending on the year’s crop. Be sure to check out the tall white post with signs pointing in the direction of various destinations; the Rio Grande is only 4 miles off, but Winnipeg is 1,705 miles away. Inviting family-run antique shops and boutiques line downtown’s Jackson Street District, making it a great place for a leisurely afternoon stroll. “We have something for grandfathers, grandmothers, children, and grandchildren,” says Victoria Garza, who runs Jackson Street Antiques with her family. The shop, housed in a 1908 corner building that was once the town pharmacy, brims with glassware, furniture, clothing, toys, and a wide selection of vinyl records. Along with about a dozen other antique and thrift shops, visitors will also find clothiers like Quelle Boutique!, which features brightly colored (and fair-trade) blouses and dresses from Latin America and Asia in addition to vintage threads. “We like anything quirky or unique,” owner Kelly Sanchez says, a statement that could apply to the entire Jackson Street district. 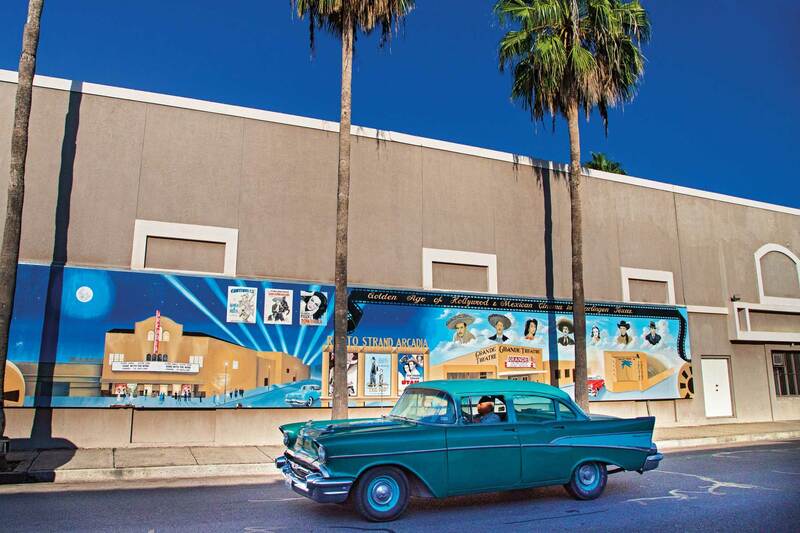 While treasure-hunting, keep an eye out for the more than 25 downtown murals dramatically illustrating the city’s history and traditions. Worth a quick detour down A Street, the pointillistic Tropical Rio Grande Valley mural depicts elements of Valley culture from accordion music and parrots to the ubiquitous sunshine in thousands of tiny paint strokes. When all the shopping gets you hungry, handy downtown options include J & B’s Café, a classic small-town diner; and Paula’s Place Café, which serves tea, soup, and sandwiches inside an antiques shop. Alternatively, take a quick walk west across the railroad tracks to the historic La Placita district. There, you’ll find the Rio Grande Grill serving both Texas barbecue and contemporary Mexican cuisine (and a surprising variety of vegetarian options), and its neighbor Bandera Coffee Company, perfect for a late-afternoon coffee or espresso. If you go across the tracks, don’t miss History of Mexico and Mankind, a colossal mural in 10 ceramic panels that depicts Mexican history from pre-Hispanic cultures to the Treaty of Guadalupe Hidalgo in 1848. Saturday night is a perfect time to experience the finer side of Harlingen, starting with Colletti’s, an Italian restaurant housed in the historic 1927 Reese Hotel. The outside of the building still displays the original brick, but owner Jo Rae Wagner and son Todd Aune completely renovated the interior in 2009-10. Now, you can enjoy the famous lasagna or 12-inch manicotti inside the elegant scarlet-walled interior, or al fresco under the flickering lamps and palm trees in one of the hotel’s two courtyards. The perfect spot for a nightcap is right across the street: The Point, an open-air bar with signature drinks including the cucumber martini and margarita. Or, you can head a few blocks over to Jackson Avenue, where Carlito’s Wine House has a wide selection of vino, including many Texas vintages, in a laid-back atmosphere with leather couches and tables fashioned from repurposed wine barrels. 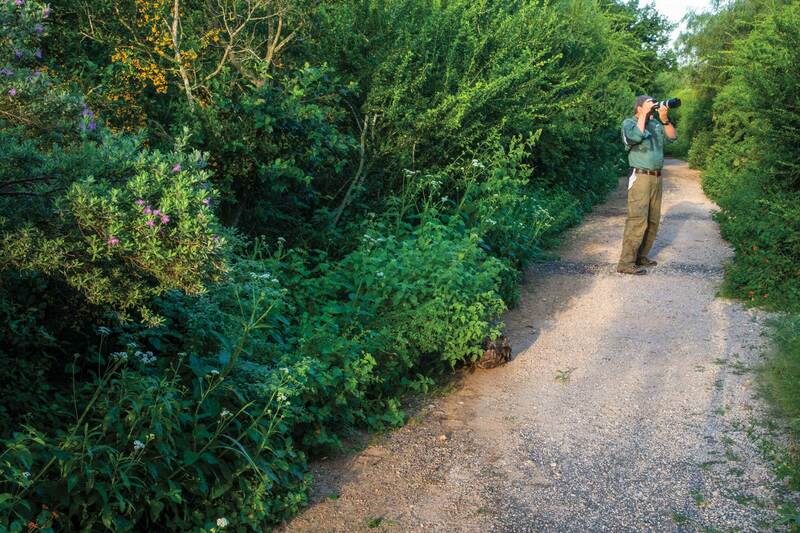 Morning is the best time to catch sight of some of the Valley’s most famous residents—dozens of tropical and migratory bird species that can only be seen in the United States in South Texas. The place to start is Hugh Ramsey Nature Park, part of a network of nine World Birding Centers across the Valley. Although the park is within city limits, you’ll feel worlds away as you wander past an ancient grove of native Texas sabal palms and ponds teeming with kingfishers and roseate spoonbills. The Retama Trail offers a quick introduction to the Valley’s unique flora and fauna, with excellent signage illustrating all of the species one might typically expect to see. 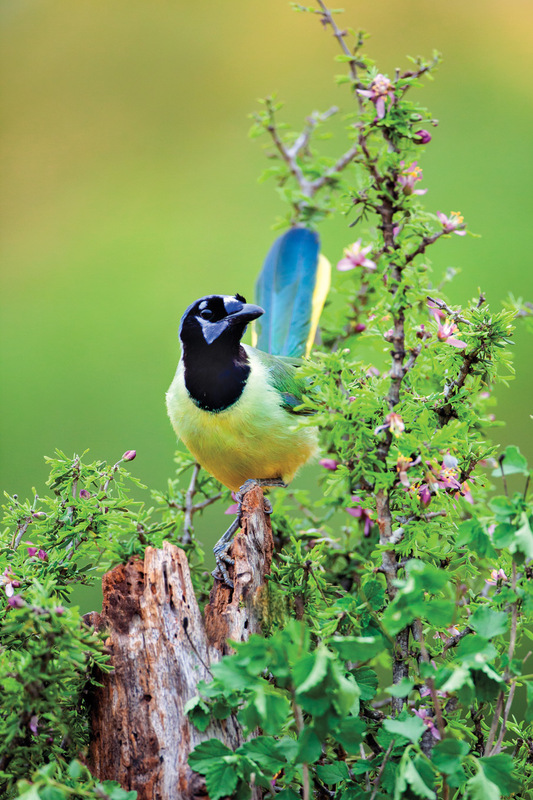 A multitude of bird blinds also afford the chance to get up close and personal with rare birds like the green jay and hooded oriole. On the other side of the park, the Ebony Trail winds past well-marked themed gardens, maintained by the Harlingen chapter of the Texas Master Naturalists. These include a butterfly meadow, medicinal plant garden, and the Garden of Eatin’, which highlights edible plants. Don’t miss the hummingbird garden near the entrance to the trail. Miniature bird blinds resembling school desks afford a front-row seat to the captivating sight of the tiny creatures’ rapidly pulsating wings as they hover to drink nectar from the feeders. It’s the perfect place to enjoy a few last minutes of sunshine, warmth, and relaxation before heading back north to chillier winter climes.